. :: GCL EXPANDS TO 18 TEAMS FOR SEASON OF TOP SPORT WORLDWIDE ::. A total of 18 teams will be on the starting grid for the 2017 Global Champions League season as the world's top riders gear up for 15 events packed with top sport. Set against the backdrop of the Tops International Arena in Valkenswaard, The Netherlands, Jan Tops (President and Co-Owner Longines Global Champions Tour and Co-Founder, Global Champions League), Frank McCourt (Co-Owner, Longines Global Champions Tour and Co-Founder, Global Champions League) welcomed media to an open forum to discuss the recent FEI approval for the GCL Series, the growth of show jumping and opportunities for riders. 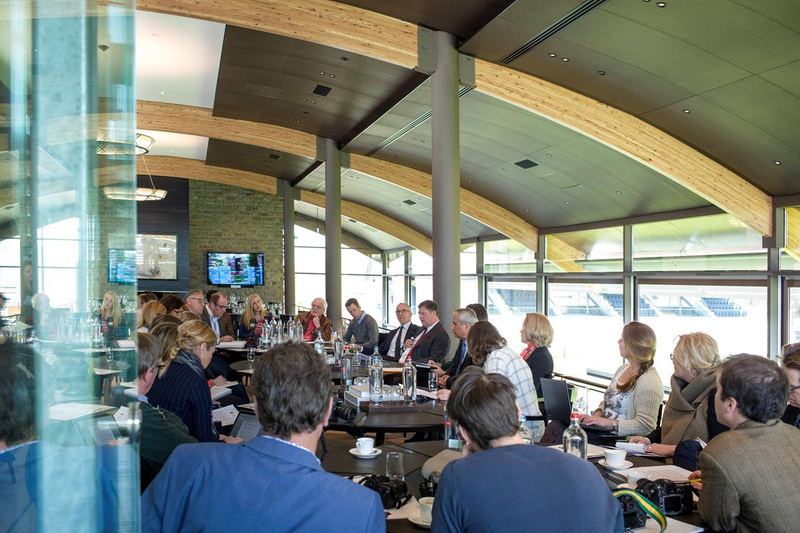 The pair were joined by FEI President Ingmar De Vos, who was on hand to answer media questions from the FEI perspective. With the announcement that 18 teams would now take part in the 2017 season Championship, he continued: “the interest from team owners has increased - we went from 12 teams to 18 teams this year, which I think is fantastic and gives the opportunity for many riders to compete." Frank McCourt, GCL Co-Founder and a leading US business figure with wide experience in sport, emphasised the importance for show jumping to continue to modernise and move forward in the competitive modern sports landscape. 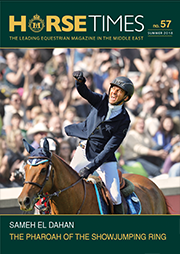 He spoke of the agreement with the FEI for GCL and said: “Happily we came to terms and can move the sport forward. We want to make sure the changes are positive and constructive to make sure the sport thrives and survives. And with the growth of the sport there are bigger opportunities for all, with new investors, higher prize money and greater return on investment for all stakeholders involved. Ingmar De Vos also pointed out that sponsored teams are "not new” and have existed for many years. As the LGCT and GCL look to the 2017 15-event season, set against some of the most iconic and unique destinations in the world, including Miami Beach, London, Berlin, Rome, Shanghai, Paris and Doha, the scene for an enthralling Championship battle has been set. Further information on the GCL riders will be announced soon.